When Jillian MacRae’s castle comes under seige, she escapes through an ancient tunnel with her four-year-old brother, and seeks out the only man who can help them, Kade MacLachlan, the powerful Laird of Ravenskull Castle. Four years earlier, Jillian and Kade fell in love and wished to be wed, but unbeknownst to Jillian, her father had already betrothed her to another man, who was killed before the marriage could take place. That was the last time she saw Kade, but never forgot what he meant to her. When she finally comes face-to-face with the handsome laird, she knows she loves him as much as ever. 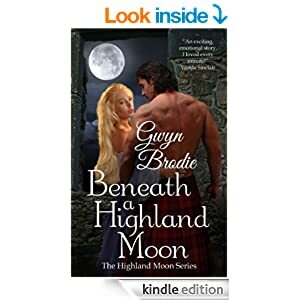 Kade is both flattered and shocked when Jillian offeres herself as some sort of payment for him protecting her and her younger brother, Ian, from the tyrant who wishes to marry her and, she suspects, to do away with Ian at the first opportunity. At one time, Kade loved the flaxen haired beauty, and quickly realizes that he still does. She slipped through his fingers once, and he has no intention of allowing it to happen again, no matter the cost.